These transparent SNES shells have circulated around for a couple years. As they’re complete, Rose Colored Gaming sells them almost immediately so it’s worth keeping an eye on these beauties as they become available. 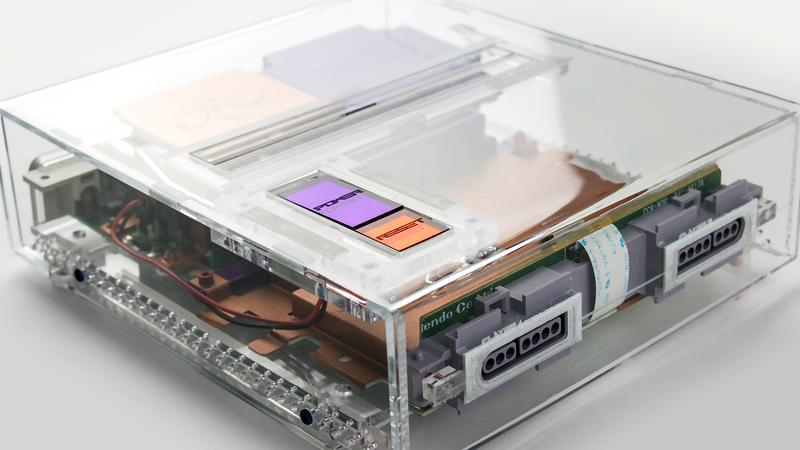 Instead of creating a cheap SNES emulator and housing it in a sleek new body, RCG actually uses real SNES parts. The cases themselves are laser cut from high quality translucent plastic and do a wonderful job of framing the retro hardware within. If you’ve ever owned an SNES, you know how the grey plastic fades and discolors over time, sometimes turning your once bright and lively Nintendo console into something that looks pale and sickly. While there are plenty of options for rehabbing these old gems, RCG’s particular design for the salvaged parts is great because it lets you actually see the technology underneath and appreciate how the gadget that’s generated so many memories was put together. It also adds some extra color and nicer finishes.